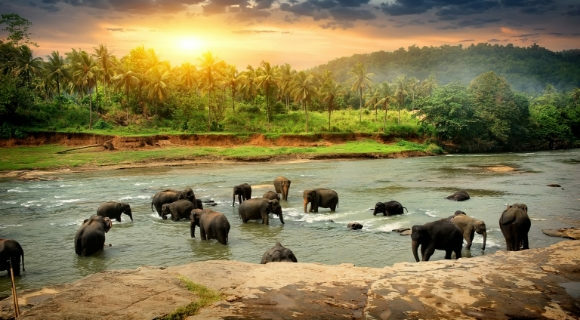 Lonely Planet has announced that its top destination for 2019 is Sri Lanka. This small island off the south coast of India has been growing in popularity over the last couple of years. In 2017, it welcomed 2.1 million tourists – its highest number ever and a huge increase from the 447,890 that visited ten years ago. Asia has long been a popular holiday destination – with Thailand, in particular, attracting thousands each year. But, with one of its most popular tourist spots, Maya Bay, temporarily closing to recover from the sheer amount of visitors and the desire to step away from the well-trodden path, holidaymakers are now looking to new destinations. This hidden gem, once avoided due to its ongoing civil war, is now being uncovered. Friendly locals, stunning natural beauty and incredible wildlife is just the start. Lonely Planet lists better transport links and the growing number of hotels among the reasons this country earned the top spot. Leopards, elephants, blue whales and turtles are just some of the animals that call this country home and you can see them all in their natural habitat. Elephants: Elephant rides are commonplace in Sri Lanka but among the orphanages that claim to have elephant welfare at their heart, you’ll find The Elephant Freedom Project – a sanctuary supported by Responsible Travel. Why not spend a day volunteering? 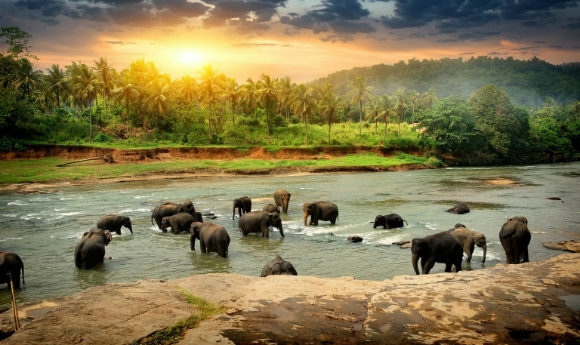 This is a fantastic opportunity to work with these intelligent creatures, where days consist of walking, feeding and washing the elephants as well as various other activities including a cooking lesson and visiting a local school. Need to know: They carry a bullhook, which can appear cruel, but it is a legal requirement – in ethical places such as the Elephant Freedom Project they are never actually used. Whales: Getting up at sunrise is well worth it in Mirissa – here you can board a boat and head out to sea to spot the largest creature on Earth – blue whales. You’ll see them rise to the surface, blowing both air and water out of their spout before majestically diving back down again. Turtles: There are several ways to get up close and personal with turtles in Sri Lanka. You can snorkel alongside them in the sea or visit a sanctuary that rescues eggs and the injured. Alternatively, you can see them lay those eggs. You may have heard of Rewaka Beach – it appeared in a David Attenborough documentary and is where former poachers now protect the eggs. Wait until the sun goes down and you can watch the turtles as they emerge from the sea and make their way up the sand. Leopards: There are several national parks across the island but you’ll need to make your way to Yala to see leopards. It may take a while to spot these elusive creatures but it is a moment you’ll never forget when you do. Plus, you’ll see monkeys, crocodiles, buffaloes and elephants from the jeep as you search. Top Tip: Stay as close as you can to the entrance so you can be one of the first to enter the park at dawn. Big Game Camp Yala is located on the outskirts and they serve up a delicious barbecue around the campfire before you head back to your tent ready for an early morning safari. Sri Lanka boasts more than 800 miles of tropical coastline but there are a few beaches you don’t want to miss. Mirissa: Restaurants line the beach and the ocean providing a perfect backdrop to your evening meal. Arugam Bay: This is a surfers paradise and by day you’ll see them riding the waves of the Indian Ocean. After the sun goes down, take a seat at one of the bars where you can watch an open-air film as you sip colourful cocktails. Need to know: Make your way to the rooftop at Bay Vista where you can fully unwind in a yoga class as the breeze blows in from the sea. After your morning stretch, move into the cafe and choose from the healthy breakfast options. Tangalle: If you want to feel like a castaway on a secluded beach then this is the one to head for. You won’t be able to swim here because it is too dangerous but it is pure paradise. The perfect place to forget the stresses of everyday life as you swing in a hammock and listen to the waves crash against the shore as palm trees blow softly in the wind above your head. For a more authentic beach, away from the tourist hotspots, make your way to Negombo. Top Tip: You won’t find the equivalent of Thailand’s Full Moon Party here – Sri Lanka is far from a party destination but if you are looking for a little nightlife then Arugam Bay is your best bet. Ingredients are fresh and local and you’ll find coconut at the heart of many meals. Food: A traditional Sri Lankan breakfast almost always includes an egg hopper and coconut roti. You’ll then be snacking on halapa – a sweet treat wrapped in a leaf. For dinner, it is rice and curry – which tends to be comprised of various vegetable dishes. Drink: To wash it all down you’ll be drinking Lion Beer, King Coconut and locally grown tea. Top Tip: Shady Lane in Mirissa is situated slightly off the main strip but serves the prettiest smoothie bowls alongside a refreshing King Coconut. Need to know: There are two monsoon seasons – the southwest sees rain from May to September. This then moves up to the north from October to February. You’ll find a good selection of hotels in Sri Lanka, whether you’re after 5 star luxury with impeccable service or affordable 3 star stays with everything you need. From accommodation in the heart of the city to stays overlooking the ocean, every holidaymaker is catered for here. Enjoy Colombo’s charms and stay minutes away from its buzzing bars, shops and restaurants at the elegant The Kingsbury. If it’s white sand vistas you’re looking for Club Hotel Dolphin places you close to Sri Lanka’s natural beauty, while Colombo is an hour and half drive away if you want to sample the best of both worlds. There are four main ways to travel around Sri Lanka. First and most popular is with a driver who can stay with you for the duration of your time here if you wish. Alternatively, your accommodation will help you to organise them for each individual journey. Drivers tend to be incredibly knowledgeable and will stop off along the way to allow you to see the sights. Secondly, you can take the bus. This is incredibly cheap and an experience in itself – but be aware that journeys can take double the time you are expecting via this mode of transport. Need to know: The rules of the road are slightly different here, hands are seemingly continuously pressed on horns while it’s not uncommon for a car to overtake a tuk-tuk that is overtaking a bus. You can also expect to slow down to overtake an elephant that is wandering down the middle of the road. Thirdly, the train. The most famous – and arguably most beautiful train journey in the world is from Kandy to Ella. For pennies, you can take your seat by the window or sit leaning out of the open door – and take in the most incredible scenery. Top tip: Travel by car through the tea plantations to Nuwara Eliya and catch the train from here. This station isn’t as busy so you are more likely to get a seat. Plus, the journey is around three hours rather than seven and you still get to experience the most breathtaking section of the journey. Lastly, tuk-tuks. This is a cheap and fun way to travel a short distance. To find out where else we will be travelling to next year, check out our Travel Trends for 2019. You are most likely to find Ellie backpacking around Asia. From volunteering with elephants and spotting leopards in Sri Lanka to dancing the night away at the Full Moon party and sleeping under the stars on Maya Bay, in Thailand - this is her favourite part of the world to be in. However, she does regularly swap her backpack for a suitcase to explore cities and coastlines a little closer to home too. Her travel bucket list is extensive, which is why she is always planning her next getaway. 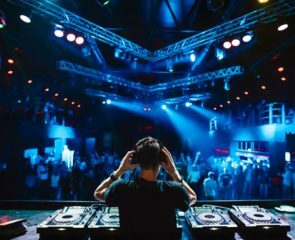 The Best Clubs in Benidorm for 2019 Travellers! 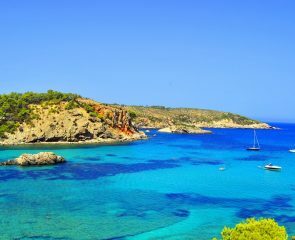 What Does Brexit Mean For My Future Holiday?